A Rope Barrier Eye Plate is perfect for using to create queue management systems or to section off a designated area. 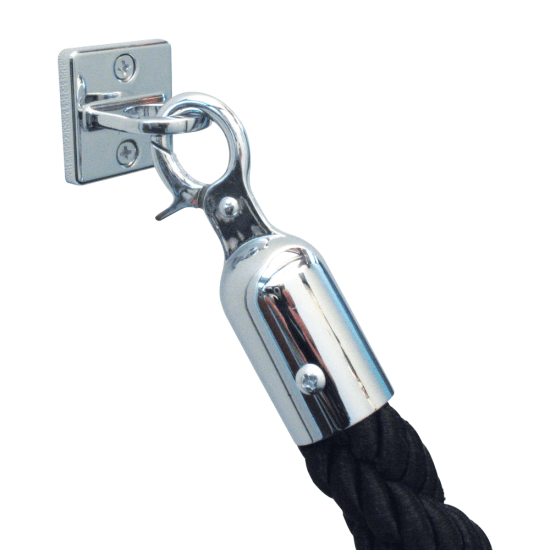 The design features a ring to allow you to attach your desired rope quickly and easily. Please note, there is currently a 3-5 day lead time on this product. What colour is the eye plate? The eye plate is finished in a stylish chrome. How is the unit wall mounted? The unit is wall mounted via the two counter sunk screw holes for instant usage.